Bulky, strong suction, is a thick film integrated circuit. A large component of the great addition to a large tin solder tool products. Can be used independently with one hand. Power 5 minutes after the addition of tin can work for a long time, automatically spit tin. Appearance, novel structure, easy to use and clean desoldering. 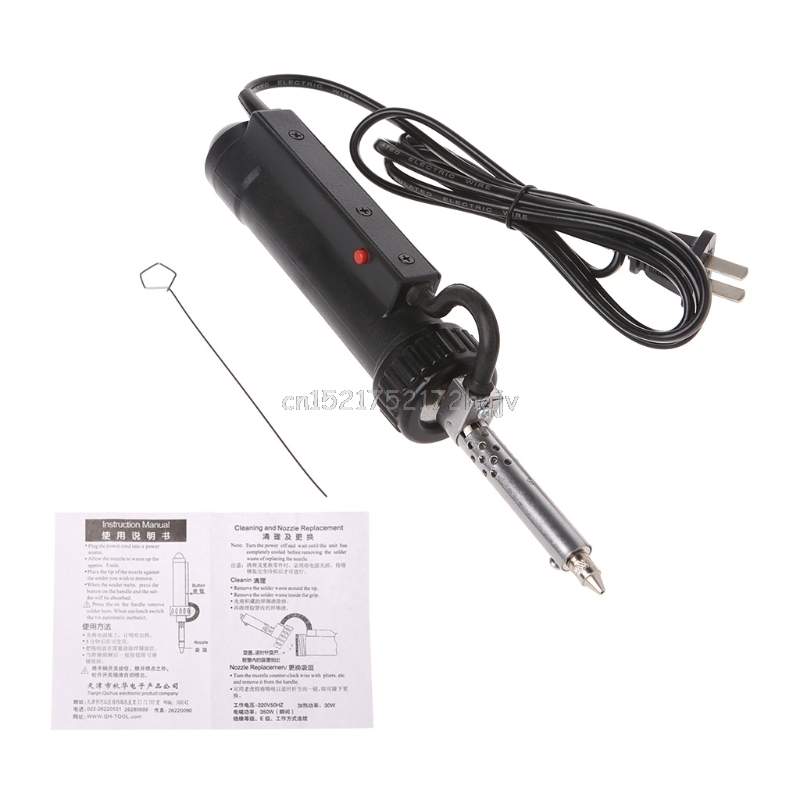 Electric suction tin can draw the melted solder extremely accurate, smooth disconnect parts. This product is lightweight and easy to use, portable, quickly and easily, improve the efficiency. A thick film integrated circuit with strong suction.